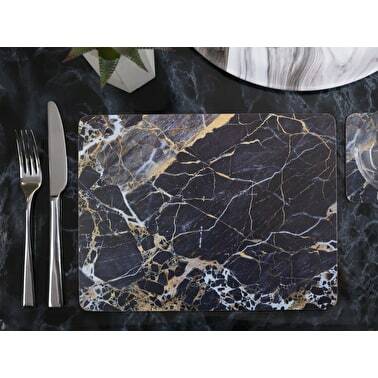 Discover understated natural beauty at the dining table with these Navy Marble placemats & coasters. 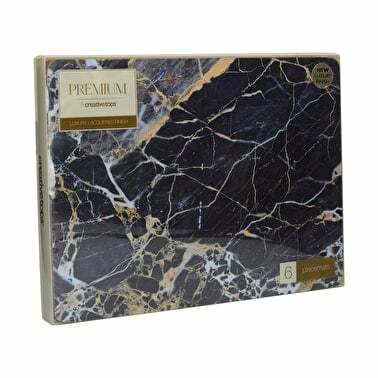 In this dramatic design, each table mat & coaster is styled like a sheet of dark marble cracked with streaks of white and gold. 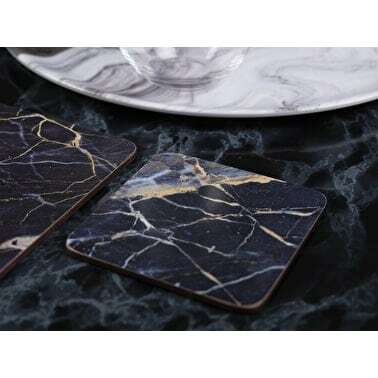 Offering an intriguing aesthetic for modern table settings, these marble mats & coasters will add luxurious texture to dining. 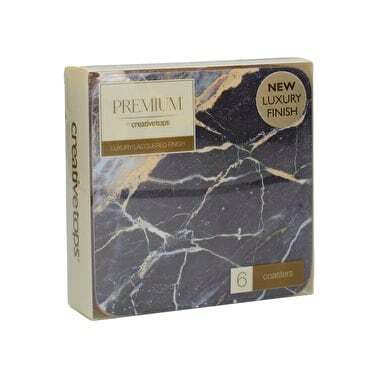 LUXURY FINISH: These mats & coasters feature a luxury lacquered surface finish making them smooth and silky to touch, stain resistant, easy to wipe clean, and able to withstand temperatures up to 120°C. 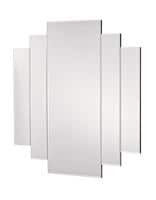 A lacquered edge finish adds durability and prevents moisture damage to the surface design. 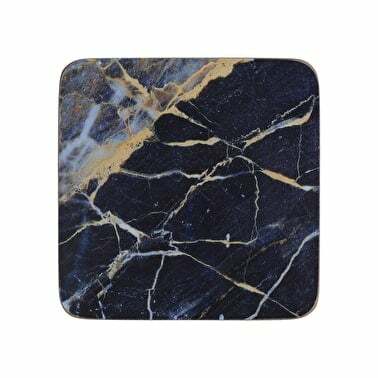 The 5mm thickness and high quality cork back makes these mats & coasters slip resistant and the perfect choice for those looking for the best quality. 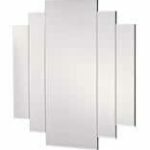 Set of 6 placemat measurements: 300 x 228 x 5mm/11.8 x 9 x 0.2″. 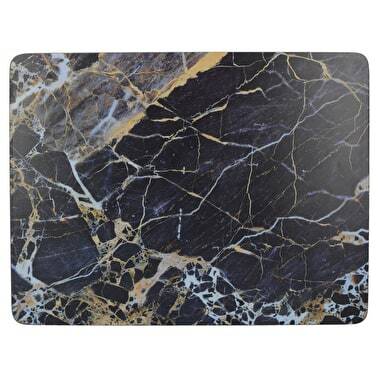 Set of 6 coaster Measurements: 105 x 105 x 5mm/4.1 x 4.1 x 0.2″.